Preheat oven to 350°. In a large skillet, cook beef over medium heat until no longer pink; drain. Stir in soups. Pour into a greased 13x9-in. baking dish. 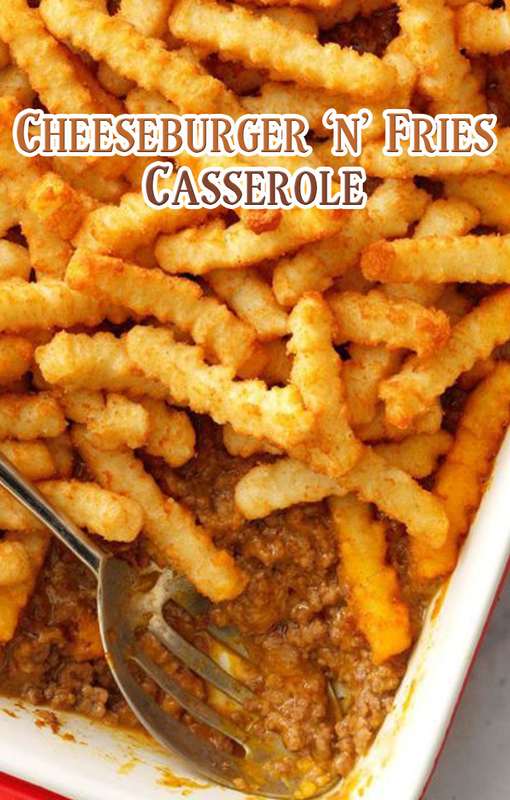 Arrange french fries on top. Bake, uncovered, 50-55 minutes or until the fries are golden brown.